Break into glass jewelry making with these tutorials and techniques. How long does it really take you to make a piece of jewelry? Michelle shares the long process behind a simple pair of earrings. Carmi has a cute fabric brooch idea for Halloween. This week's Tuesday Tangle features handmade earrings of metal clay and wire. This week we have a nice series showing you how to use an ice tray to make fun skull and bone cast pieces. Snap out of it,Jean! There's beading to be done! 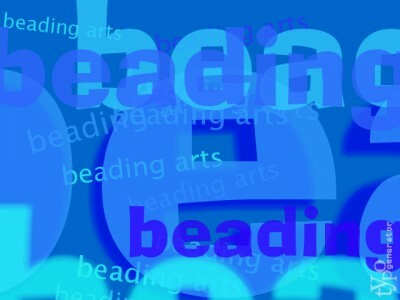 Wonderful, really exciting giveaway from Beaducation! Read all about it and sign up on Jean's blog! Are you sharing your talents with others? Lisa shares her recent experience teaching a group of friends a simple, but rewarding project.